M. Lee Smith Publishers is a leading provider of legal, legislative, and political intelligence for attorneys, business leaders, elected officials, and lobbyists. For more than 40 years, customers have come to count on our newsletters, CLE events, directories, online databases, and manuals to meet a variety of strategic and tactical objectives. From the Alabama Law Weekly and Tennessee Attorneys Memo’s weekly appellate court decision summaries and the Tennessee Legislation Service’s online bill-tracking system to informative CLE webinars for attorneys, M. Lee Smith Publishers provides the tools and resources you need to stay informed, save time, and save money. M. Lee Smith Publishers was founded in 1975 by M. Lee Smith, a graduate of Vanderbilt University Law School who clerked for federal judge William E. Miller before serving as legislative assistant to U.S. Senator Howard Baker R, Tenn. After involvement in the successful Tennessee gubernatorial campaign of Winfield Dunn, Smith spent 4 years as the governor's executive assistant. In 1975, Smith turned his interest in politics and law into a publishing company. Smith soon recognized the increasing impact of state legislatures and courts on how businesses operate. To help corporate executives and human resources professionals comply, he launched a series of state-specific employment law newsletters, eventually publishing one in every state in cooperation with local attorneys. In November 2003, Dan Oswald, then a 15-year publishing veteran, joined M. Lee Smith Publishers as president and publisher. In January 2005, he purchased the company from Smith. M. Lee Smith Publishers is now under the parent company Simplify Compliance. Serving a range of industries, Simplify Compliance provides timesaving products and solutions that help U.S.-based businesses and their employees monitor compliance, optimize financial performance, and create and implement best practices. Simplify Compliance operates the Argosy Group, BLR®, CCMI, and H3.Group business units. 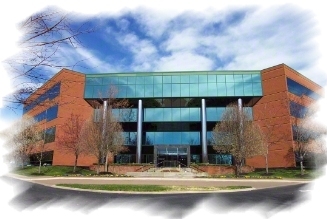 The M. Lee Smith Publishers brand continues as the Legal and Politics division of BLR, which also serves five additional areas, including HR and Employment Law, comprehensive online, onsite, and custom employee Training, Compensation and Benefits, Workplace Safety, and Environmental Compliance. The Legal and Politics division focuses on its leading portfolio of legal and political information products, services, events, and more.